Yesterday at mass I heard something that I couldn’t place, at first. It was during the psalm. The custom at our parish is that the choir sings the psalm in Anglican chant as the congregation looks on. I’d rather we all sing it, of course, so I’ll often hum the bass part under my breath. Well, this time I caught a sound that was high and faint moving along with the music. At first I thought it might be an overtone but then I realized it that it was Lil’ H sitting next to me singing the melody line of the chant. This entry was posted in Anglican, Chant on October 29, 2012 by Derek A. Olsen. I started coming to church on my own, as a 20 year old college student, with no religious education, beyond hearing Handel’s ‘Messiah’ and going to extended family’s weddings and funerals. But when I decided to come to church for my self, I went to a small neighborhood Episcopal church. And they sang Anglican chant. I could easily pick it up. It’s been 36 years and I can still remember the ‘Gloria’. I now sing in a pretty good cathedral choir, but when the choir director gets a bit uppity, I remind him that I learned Anglican Chant by listening, not by reading music. I was a student at a church where the choir complained that plainsong was too difficult. Much easier to do Anglican chant. It’s what you know that matters. We are a very middle-of-the-road episcopal church and do anglican chant every single sunday for the psalm – with congregational participation. even in the summer without a choir, we just use an easier tune. do the rest of us sing as well as the choir? not a chance, but it is one of my favorite parts of the service. We’ve used the “simplified Anglican chant” for some time, which surely has to be within the capabilities of pretty much any congregation. I do hear people singing along. As a semi-pro, my reaction to all the “it’s too difficult” talk is that it tends to end up being deeply duplicitous. 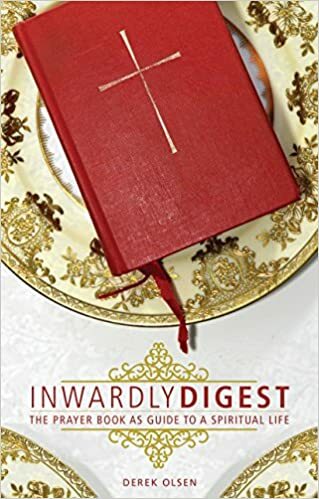 What goes unsaid is that, when people start talking about “too difficult”, what they want to do is stuff outside of the hymnal repertoire which tends to be way too difficult for congregational singing. When I get stuck with the guitar mass at our parish I find that at least half of the songs I’m presented with are beyond my ability to sight sing, partially because a lot of times the printed music doesn’t reflect the actual singing, but more often because of rhythmic complexities or extreme ranges and difficult entrances. If I can’t hack it, then it’s likely that nobody can. Anglican chant takes a little practice to get the swing of, but after that I don’t think people find it so terribly difficult. I also note in the hymnal study that a lot more churches were doing sung psalms than I would ever have guessed.